Un triomphe pour les premiers levés aéroportés en géophysique. Located north of Timmins Ontario, Kidd Creek is one of the largest Cu-Zn VMS deposits in the Abitibi Greenstone Belt (120Mt). 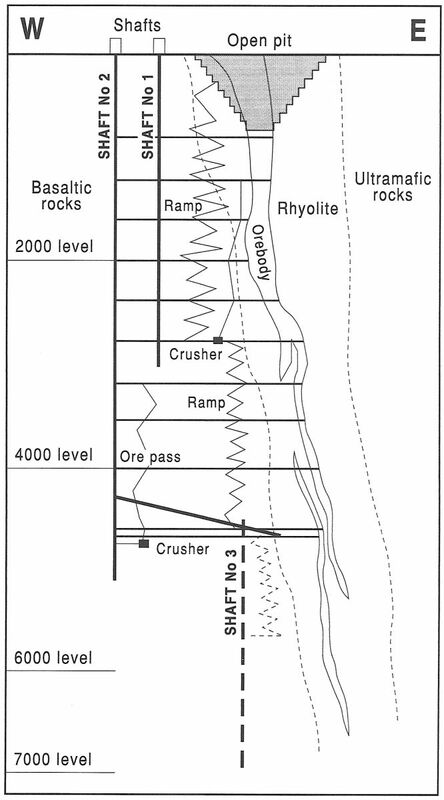 The deposit, consisting of massive sulphides, stockwork and stringers. Kidd Creek was hidden from conventional exploration techniques by layers clay and muskeg. 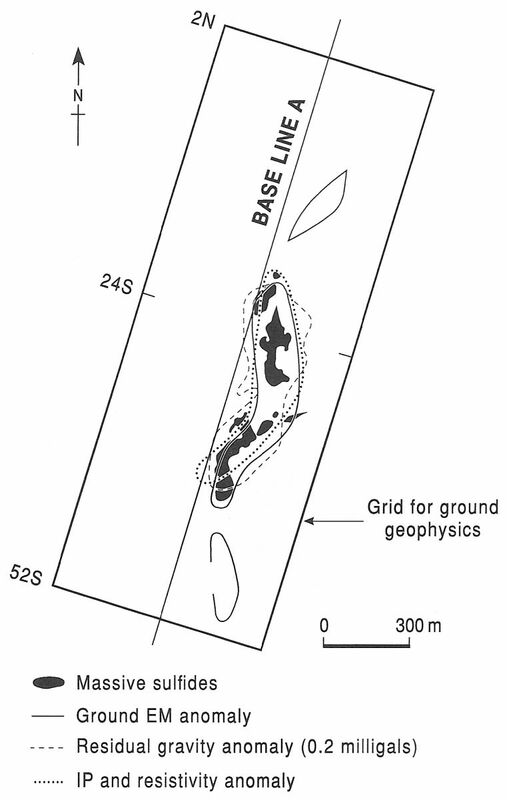 An airborne EM survey successfully detected the Kidd Creek deposit in 1959 on the first day of the geophysical campaign. Following the success in the air, a ground EM survey was conducted to confirm the location of the anomaly. Gravity and IP surveys were also conducted. 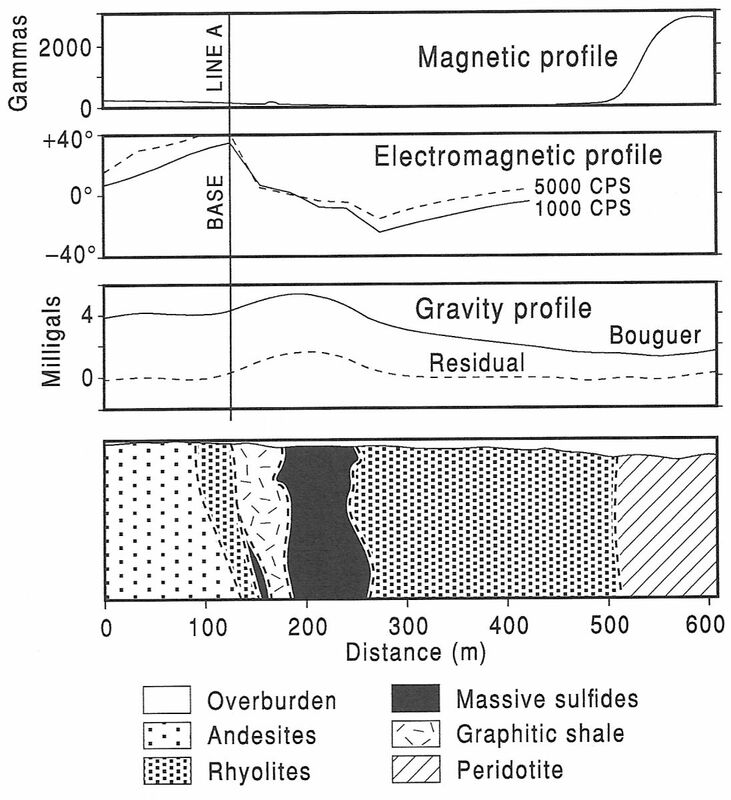 Profiles of line 24S show the EM and gravity response over the massive sulphide zone. 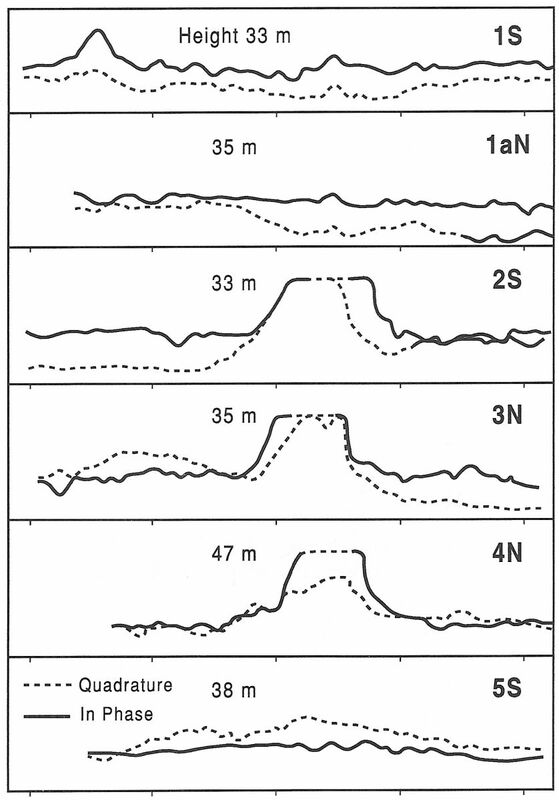 The magnetic response was minimal with the peridotite to the east giving the only significant response. Drilling was conducted on the EM anomalies, the first hole intersecting 8.37% Zn, 1.24% Cu and 9.3 Oz/t Ag over 177m.